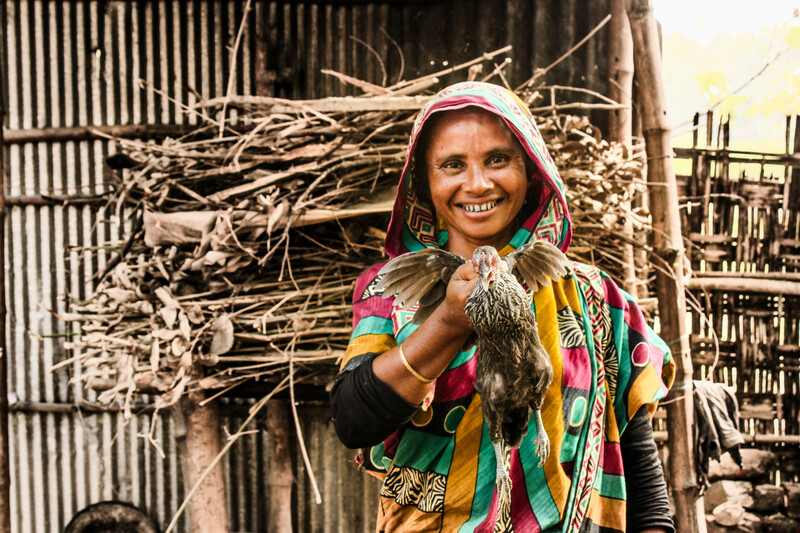 “I live in Nilphamari district with my family. My husband used to believe in equal rights of women and never forced me to do anything. He died from cancer without proper treatment for our financial crisis when my daughter and son were five and three years old respectively. Our financial crisis worsens after my husband’s death. I started working as house help and as farmer in others land to earn daily bread. Somedays we starved and in some we ate rice with salt or just grass. But my children never complained. Whatever the situation is, I never stopped educating my children. I used to take leave from work to take them in school safely. I know that education is the backbone of a nation. It is essential irrespective of gender. People can take my assets but not my knowledge. I had one torn piece of cloth to wear. I used to wash it and wait until it dries up, to go outside for work. I faced a time when my children had nothing to wear. I made pants for them with a portion of my torn cloth. People used to bully my son for wearing women’s cloth. We used to have roof with hay and unable to sleep in rainy days or winter nights. Things started to change when I was selected under specially targeted ultra poor programme (STUP) of BRAC. Their special investment programme supported me with full asset grants, life skill and enterprise development training, subsistence allowance, tailor made health care and community support. Based on my household circumstances and local market conditions I have received livestock and different essential trainings. I think people respect the person who is well dressed. So I followed my thought, bought a sewing machine and became a tailor. Currently I am a popular tailor in my village. My daughter and son also help me in tailoring. With the support of BRAC I took several lands on lease for growing vegetables. Now I can fulfill nutritional requirement of my family as well as sell vegetables and livestock with profit.